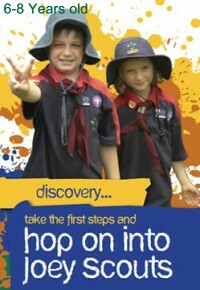 Our Scout Group is part of Queensland Branch of Scouts Australia and is in the Kennedy Region. The Group resides in the tropical North Queensland City of Townsville in Queensland, Australia. Joeys and Cubs start back this week. The Joeys, Cubs, Scouts and Venturers enjoyed themselves as part of the Kennedy Region float in the Willows Santa Parade. There were scouts from all local Kennedy Groups, plus Santa and his helpers. Joey Scouts is your first section in Scouts. It’s for boys and girls aged 6 and 7 and it’s all about fun! Life as a Joey Scout is full of discovery and excitement! 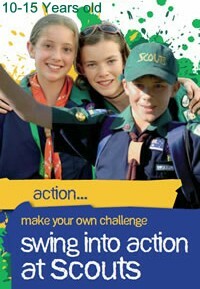 As a Joey Scout you’ll be part of a Mob which is full of energetic kids just like you. 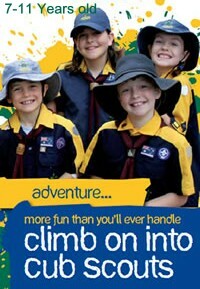 You’ll have a trained Joey Scout Leader who will look after you and plan fantastic activities for you and your Mob. As a Joey Scout you’ll learn how to share and care while having fun with your friends. Cub Scouts is the second section into Scouts. It’s for boys and girls aged 8 to 10* and it’s all about adventure! *These ages may vary up to 6 months. Cub Scout Packs usually meet once a week at their local Scout or community hall. The trained Cub Scout Leader and their assistants are in charge of ensuring that the Cub Scouts work well together and challenge themselves to do their best, while also meeting the development program goals for the week. The Leaders encourage their Cubs to use their imaginations and foster their creative and mental abilities. Cub Scout meetings are full of energy and fun and our Cubs go home with the confidence and the abilities to face whatever challenges or goals they set for themselves. Scouts is for boys and girls aged 11 to 14* and is the most well known section of the Scouting Movement – Scouts is where the action is! *These ages may vary up to 6 months. Scout Troops, which are comprised of several Scout Patrols, usually meet every week to discuss their progress and work towards achieving their goals. Scout meetings consist of team-building activities, playing games, developing specialised skills and knowledge, and planning for weekend adventures and camp-outs. At meetings Troop members share stories and experiences of their recent adventures and offer advice to one another. Scout Leaders teach safety lessons on how to use equipment correctly and inspire their Scouts to be the best individuals and team players that they can be. Venturer Scouts is for males and females aged 15 to 17* who never turn down a good challenge and love to push themselves to their limits. *These ages may vary up to 6 months.meet together on a regular basis form what is called "the Unit". Venturer Scout Units meet on a regular basis and Venturer Leaders are simply there to provide adult leadership and support; they act as your Scouting mentors. Unit progress is discussed at meetings, along with how each Unit is turning their goals of the Venturer Program into reality. Socialising is a must and strong bonds are formed through teamwork and a common desire to ensure that everyone becomes the best person they can be. 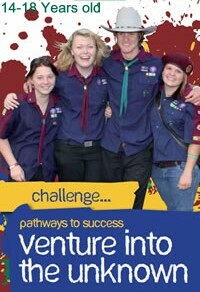 If you’re a Venturer Scout your only limits are the ones that you set for yourself.